With the last few months of 2018 rolling in, 2019 seems like it’s just around the corner. And with the new year come resolutions echoing the sentiments of “out with the old, in with the new”. While most people will usually attempt to make improvements to their character or their habits, why not extend this attitude toward your home as well? Living in a new and improved home will feel very appropriate as we approach the new year. Below are a few things you can do to get your home ready for the new year. There’s an Asian superstition which dictates that as the clock strikes midnight on New Year’s Eve, you have to sweep the floors of your house, pushing the dust out of the front door. Supposedly it sweeps the bad luck away from the home and helps with welcoming good luck and good fortune into your home for the new year. While most Western homes may not believe in this practice, it does make sense to clean the house. It helps get rid of any gunk, dirt, and cobwebs that may not be a welcome sight. Feng Shui, an ancient Chinese practice, even promotes cleaning and cleansing your home before the new year to allow new energy to circulate the house. If you have a pool, you may want to buy or rent a pool cleaner for that deep, deep clean. A lot of things can happen to you over the course of a year. Similarly, the house you live in can accumulate a lot of things over that time too. Most of them will most likely need to be disposed of before the new year rolls in. The best way to declutter a house from top to bottom is to tackle the task room by room. Take stock of the things you have in each room. If it helps, take three boxes with you and label them ‘Keep’, ‘Donate or Sell’, and ‘Throw Out’. The goal is to purge each room and keep it as clutter-free as possible for the new year. That way, you can focus on the new things and experiences that the new year will bring in. It’s important to check your house for any repairs that need to be made to help your home look and serve you better in the coming year. In the Western hemisphere, the colder temperatures will usually bring snow and ice. If left unattended, these can actually damage your roof due to the melting, and lead to warped shingles or leaky roofs. Another minor repair that you can do to prepare your home for the new year would be to check the electrical wiring. Any exposed or frayed connection should be replaced as soon as possible to ensure that your house is in tip-top shape. Plumbing should also be something you will want to check; you don’t want to welcome the new year with a high water bill because of that leaky faucet. 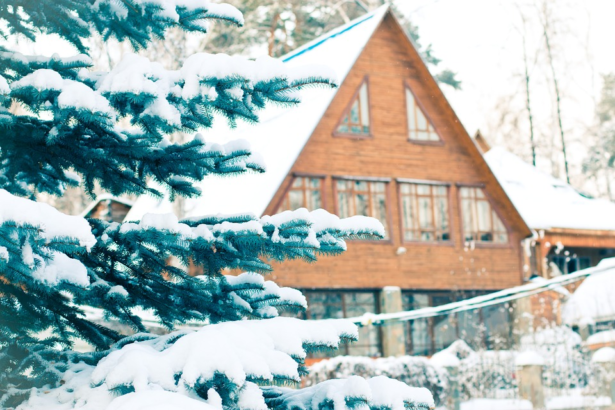 Take advantage of the holiday season to jump-start repairs on your house.